I love to listen to wind chimes. Do you? It’s always such a peaceful sound to hear on a beautiful day. While there are many beautiful ones you can purchase, what’s even better is a fun handmade wind chime. 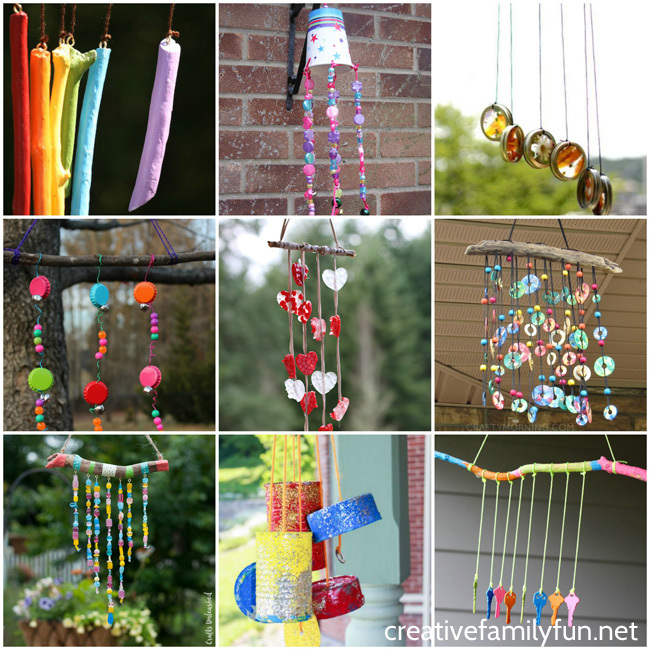 So, gather the family to make one of these fun wind chime crafts for kids. I love all of these crafts. They’re all make a pretty and colorful addition to the patio or garden. So many of these crafts also use recycled or natural materials. I’d love to see any of these hanging off my deck. Wouldn’t you? Use pipe cleaners and beads to make these Colorful Wind Chimes from Coffee Cups and Crayons. This simple Recycled Wind Chime from Rainy Day Mum is easy enough that your toddler can help. Display your nature finds in this pretty Suncatcher Wind Chime from Hands On As We Grow. Raid the recycle bin to make these pretty Coffee Can and CD Wind Chimes from Happy Hooligans. Melt pony beads to make this lovely Heart Wind Chime from No Time for Flashcards. Try splatter painting to make these awesome Tin Can Wind Chimes from Hands On As We Grow. Use plastic lids and beads to make this pretty Recycled Wind Chime from Crafts by Amanda. Gather up all the old keys in your junk drawer to make this DIY Key Wind Chime from Inner Child Fun. 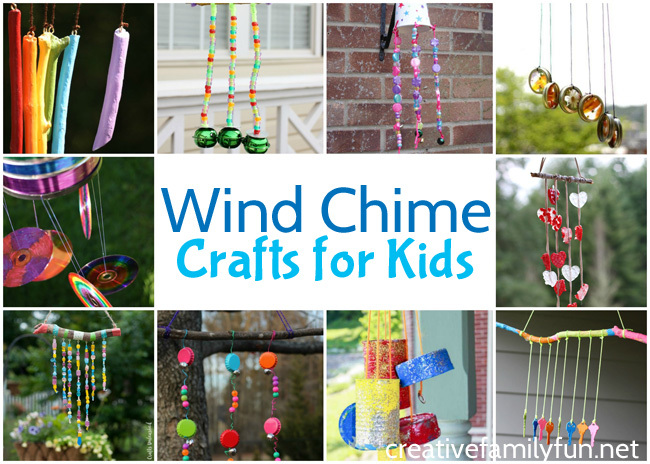 Which one of these wind chime crafts for kids do you think you’re going to make with your family? 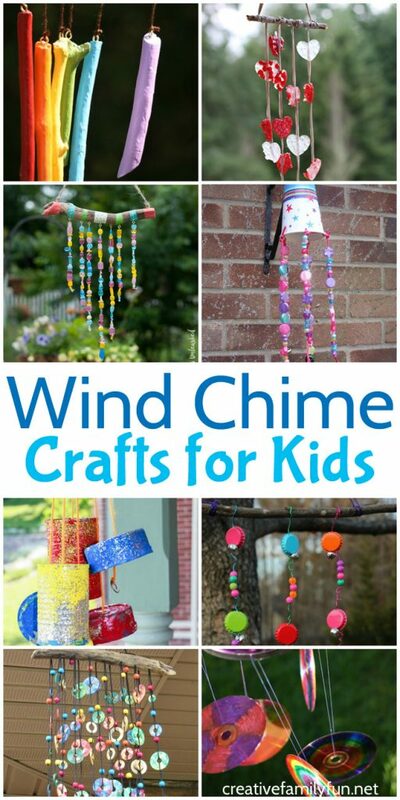 If you enjoyed these Wind Chime Crafts for Kids, the above photo is perfect for sharing on Facebook or you can save the photo below on Pinterest.